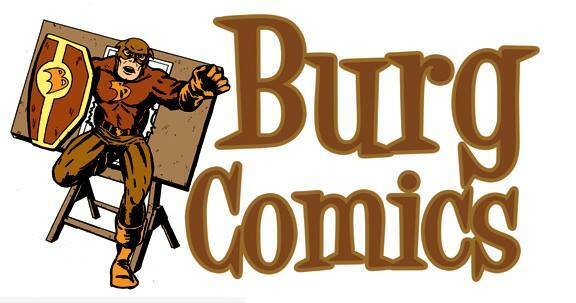 The 4th annual Burg Comics Con will take place on Saturday August 24, 2013 from 10 AM to 6 PM at the Southeastern Illinois College Foundation Building in Harrisburg, IL. Please start passing the word along to your friends and encourage them to become a fan of our page on Facebook to keep up with the latest news. Admission to the convention is FREE, but we are requesting a charitable donation to the 4Cs. Mr. Wil Woods will be attending Burg Comics Con 2013. Mr. Woods is currently working on Ultimo Dragon. Additional information about this project is available at http://slam.canoe.ca/Slam/Wrestling/2013/06/11/20890816.html and you can read Mr. Wood’s announcement about the project on his deviantArt page. Mr. Nathan Bonner is and independent comic artist and publisher whose work includes the space fantasy series Indavo and detective noir series Shamus Stone. Check out his work at http://indavocomic.com and http://stonecomic.com. Mr. Monte Baldwin is a sketch artist from Marion, IL. Check out his work at http://montrosity.deviantart.com/ and http://www.comicartfans.com/galleryroom.asp?gsub=60193. Mr. Baldwin is accepting orders for pre show sketches. Sketches are $30 for 1 character 11×14 full color or grey tones and ink . $15 for each additional character. If you would like to arrange a pre-show sketch, then email montebaldwin@hotmail.com. Mr. Sean Dulaney is an independent comic writer and artist. His most recent comic is Delta 51 – The Comic and you can follow his work on the Delta 51- The Comic Facebook page. Burg Comics, your convention host, specializes in back-issue comics, Heroclix and other comic-related items. Blog available at http://www.burgcomics.com. EBay store available at http://stores.ebay.com/BurgComics. Feel free to email your want list to admin@burgcomics.com. 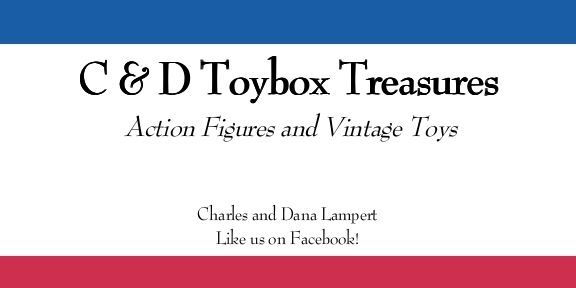 C & D Toybox specializes in action figures such as Superman, Batman, Wonder Woman, a few Star Trek, Star Wars, Hulk, Six Million Dollar Man and the Bionic Woman and others mainly DC, Marvel figures and accessories. Some are new in pack, some are loose, old and new figures. Like them on Facebook. The largest gaming store in Southern Illinois. Located in Carbondale, IL, Castle Perilous features new and used table top games, gaming supplies, comics and much more. Be sure to become a fan on Facebook. The Rack Comics carries DC, MARVEL, IMAGE, DARK HORSE, DYNAMITE, VERTIGO, WILDSTORM, IDW, AVATAR modern-age comic books and more. Specializing in “STORY ARC” runs, as well as, single issues and lots. ALL COMICS ARE INDIVIDUALLY BAGGED and BOARDED. Visit http://stores.ebay.com/the-RACK-comics for additional details. Lady Fingers – Specializing in crochet fingerless gloves with a Superhero motif. Like Lady Fingers page on Facebook. The Comix Strip – Out of Cape Girardeau, MO offering a wide variety of hard-to-find comics, toys, cards and collectables. Kevin Stewart Collectibles – Offers a wide variety of Superman and other superhero collectibles. Sheila Moore Collectibles – Offers a wide variety of superhero collectibles and custom dolls. Infinity Comics – Buys and Sells Comics, Action Figures, Game Cards, etc. 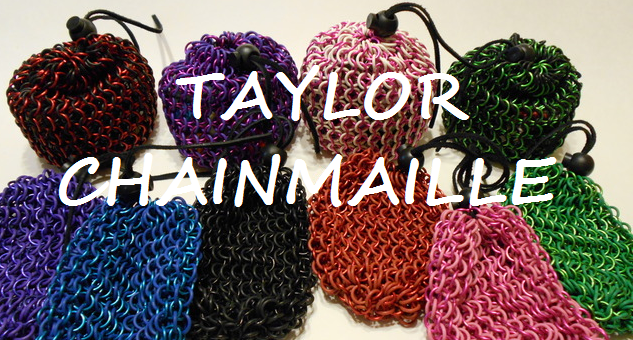 Taylor Chainmaille – Creator of custom chainmaille items including their recently successful Kickstarter project Stretchy Chainmaille Dice bags. You can view the Kickstarter project at http://www.kickstarter.com/projects/259903200/stretchy-chainmail-dice-bags. Fuzz Wuzzie Hats – Custom fleece hats and other handmade creations. Like Fuzz Wuzzie Hats page on Facebook. A 300 point Modern Age Heroclix tournament will take place at 12:00 PM. Sign ups will begin at 11:00 AM. There will be no entry fee and prizes will be provided to all participants. Tables will also be available for casual clix play and trading. This scenario is the first part of a trilogy which will continue at Little Egypt Wars on Sept 14th in Carbondale. Please check Castle Perilous’ website for additional details about Little Egypt Wars. SIC’s StrategIC gaming group will be running card and board game demos throughout the day. Likely game demos include Netrunner LCG, DC Deckbuilding Game, and others. Additional tables will be available for casual game play. Ultimate Werewolf is a party game for 5 to 68 players. How large of a game do you think we can complete? Starting at 4:30 PM, Burg Comics Con 2013 will find out. 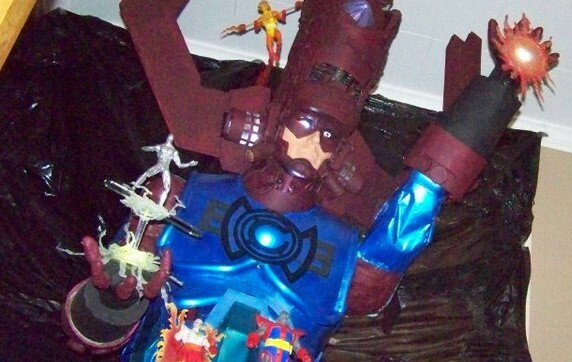 The costume contest is returning to Burg Comics Con 2013. Categories for the costume contest will be Superhero – Children (Ages 0 to 13) and Superhero – Adult. Additional details are still being worked out. At Burg Comics Con 2013 we will be collecting donations for and holding a silent auction to raise funds for the 4Cs (Christian Community Compassion Center). Additional details will be made available. Additional information is available about 4Cs on their website, http://www.saline4c.org/.